How about that weather? It’s only the end of December but already the single digit temps and the hibernation inducing wind chills are upon us. Ask the old timers out there and they will tell you this current stretch of weather was how winter always was year after year. The cold would set in and not break until April. Thankfully I was not alive for these dark times. 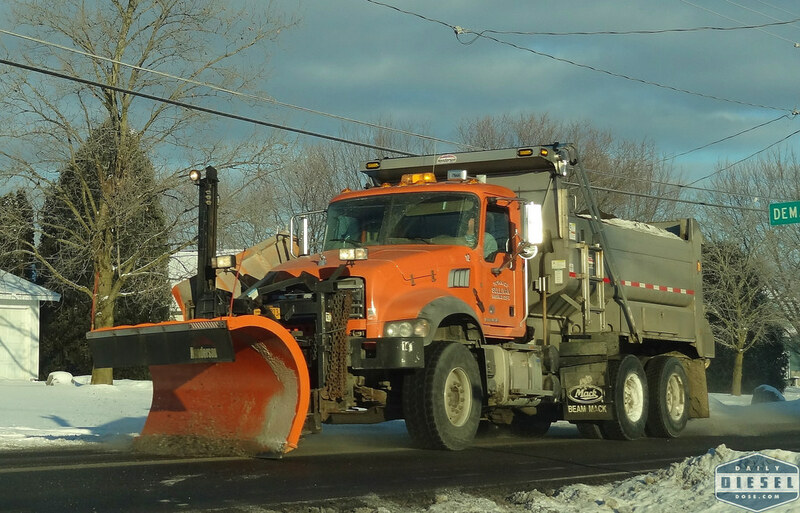 Anyway, the silver lining to weather are plows. 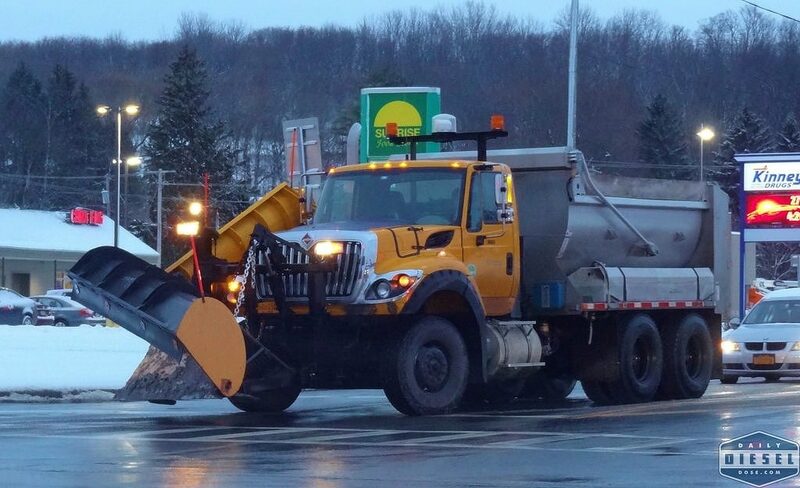 Here we see the latest generation of NYSDOT plows in the form of International Workstar (HV yet?) with the Navistar N13, Auto trans and Viking plows and body. Speaking of Viking, let’s go on a tour of their facility in Lewis County with this 36 min long walking tour video. And returning close home, for me at least, a Town of Sullivan Mack Granite. This entry was posted in Snow Plows and tagged international hv, international workstar, mack granite, nysdot, town of sullivan, viking cives. Bookmark the permalink. Nice pics Eric. No HV model yet. Probably March of this coming year. That Sullivan truck looks like truck No. 10, one I haven’t seen yet. It would have replaced the 1992 Autocar ACL64B. I wonder if that is one of those twin auger Henderson bodies?